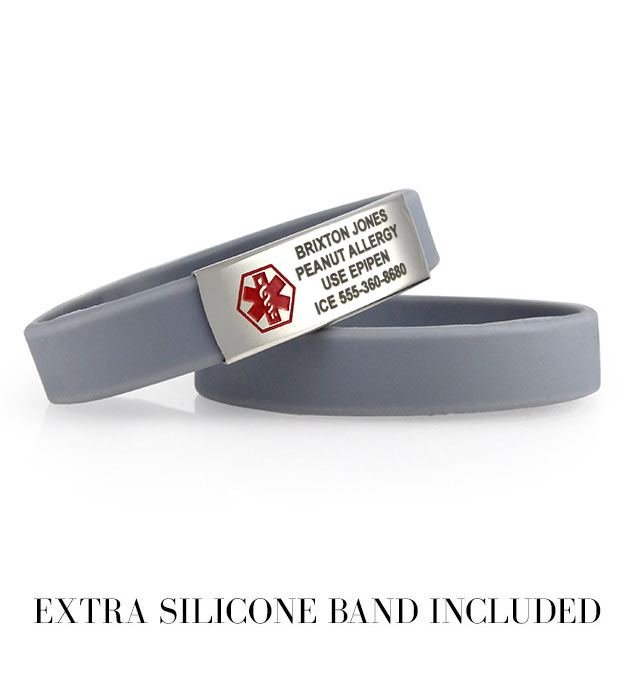 The Charcoal ActiveWear Slim medical alert bracelet includes two charcoal gray silicone bracelets. This bracelet pairs with a 1 ½” x ½” medical alert plaque bearing the internationally recognized medical caduceus symbol off to the left, leaving plenty of room for your personal medical and/or ICE engravings. This item is engraved on the front of the tag. To view Charcoal ActiveWear Slim Replacement Bands, click here.